As promised. The first Christmas presents for family and friends this year. 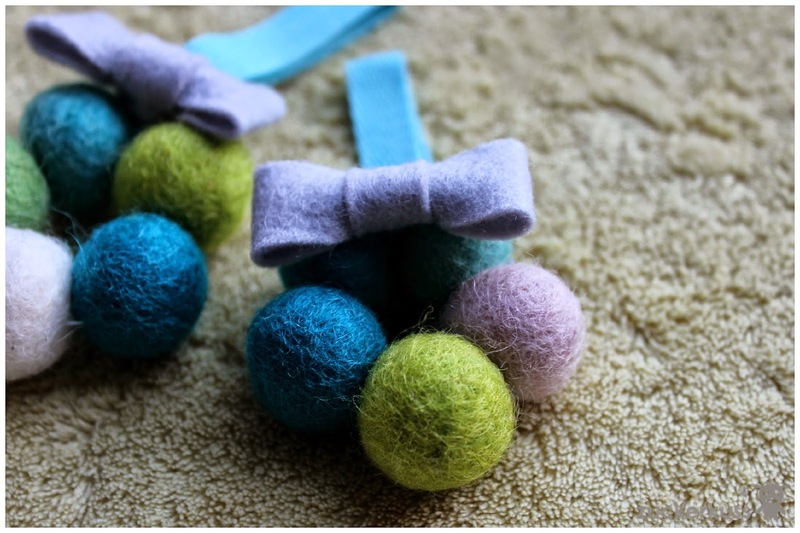 These are really easily made tree decorations made of my favorite felt. In fact, they are so easy to make that K (my little almost 3-year-old) almost made them herself. Of course, she had a little help. 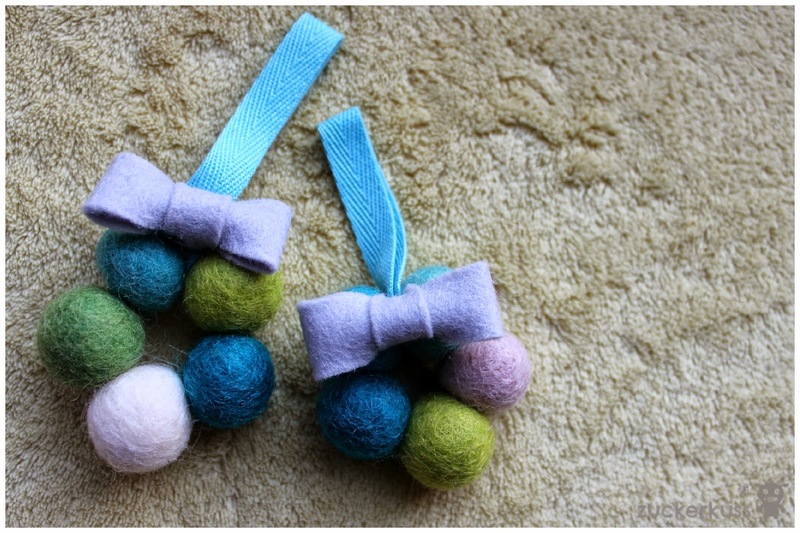 Basically we just picked five felt balls, got them on a string and stitched through the first ball on that string again. After securing them we added a ribbon to hang it on a tree. Finally we attached a little bow and tadahhh. Really easy and the first little present is done. 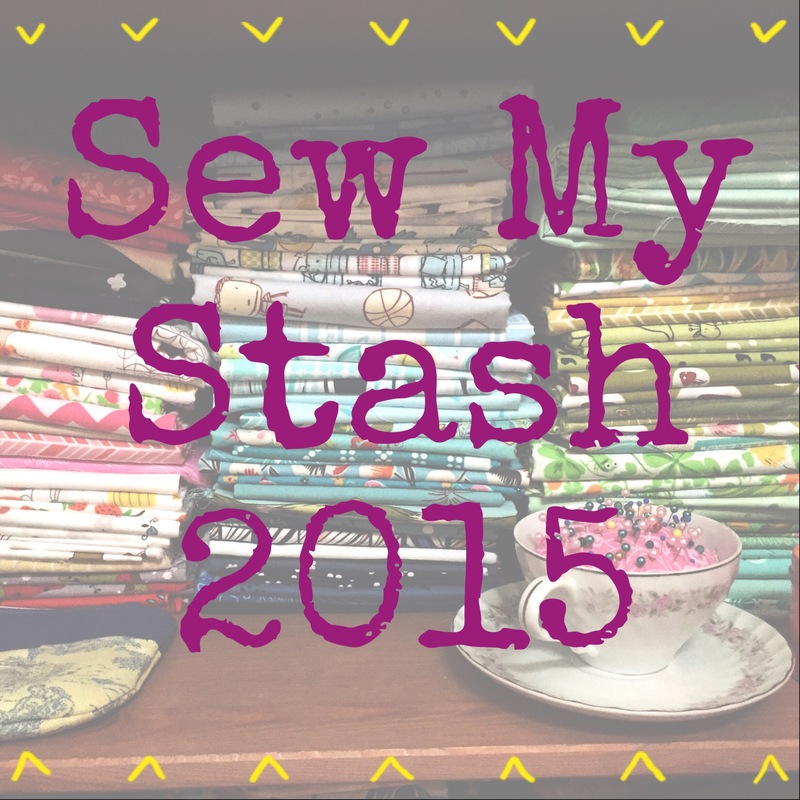 Linking up today with show and tell tuesday, fabric tuesday and WIP wednesday and of course Santa's Sweatshop.